Partial or complete loss of hair is called alopecia. Hair loss is a common and distressing problem which affects men and women of all ages. 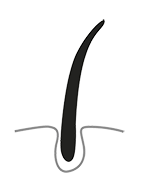 It is a common hair loss problem affecting about 1.7% of the population. It is considered an autoimmune disease in which the immune system (body’s defense mechanism which protects our body from foreign invaders including viruses and bacteria) of our body mistakenly attacks the hair follicles (structures from which hairs grow), which may cause hair loss on the scalp and elsewhere. Although uncommon, some people may experience compete hair loss on scalp (Alopecia Areata Totalis). In rare cases, the disease may cause complete loss of hair on the scalp, face, and body (Alopecia Areata Universalis). Heredity: It is among the most common causes of hair loss in both men and women affecting 80 million people in the US. Physical or Emotional Stress: Physical or emotional stress may cause Telogen Effluvium, a condition characterized by one-half to three-quarters of scalp hair loss. Other reasons: Other reasons such as intake of certain medication, illness, childbirth and crash diet may also cause hair loss (telogen effluvium). Androgenetic alopecia (male pattern hair loss), one of the most common causes of hair loss in men, may begin as early as a person’s teens while the risk rises with age. More than 50 percent of men aged over 50 years. 42% people suffer from moderate to extensive hair loss (type III or greater). 16% for men between 18-29 years of age suffer from moderate to extensive hair loss. 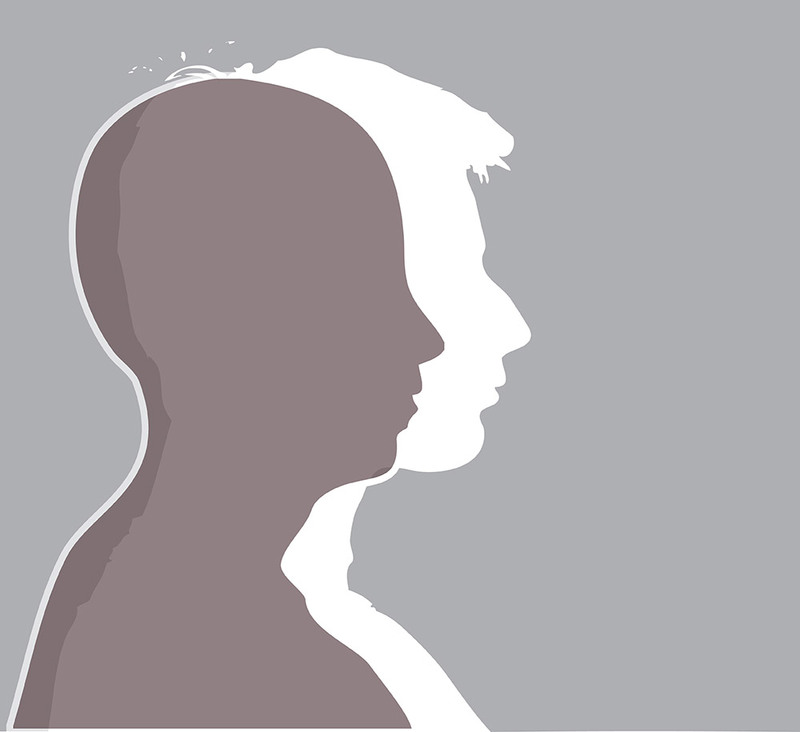 The prevalence of moderate to extensive hair loss is 53% in men between 40-49 years. Corticosteroids: Corticosteroids are used to suppress the immune system. These are either injected into the scalp or other areas, taken orally as a pill, or administered topically (applied on the skin surface) as an ointment, cream, or foam. Topical immunotherapy: Done usually with 2,3-diphenylcyclopropenone (DPCP) or squaric acid dibutylester (SADBE), immunotherapy has been used to treat extensive alopecia areata for over 30 years. Dithranol: Studies have found a combination of 5% minoxidil and 0.5% dithranol cream administered overnight effective in people suffering from alopecia areata. It makes topical dithranol a potentially effective second line treatment for adults and children with persistent disease. Minoxidil: It is topical drug used for hair re-growth. Minoxidil has been recommended by experts as second line therapy or in combination with other treatments.
. Who gets and causes. [ONLINE] Available at: https://www.aad.org/dermatology-a-to-z/diseases-and-treatments/e---h/hair-loss/who-gets-causes. [Accessed 07 October 2015].
. Hair loss: MedlinePlus Medical Encyclopedia. [ONLINE] Available at: http://www.nlm.nih.gov/medlineplus/ency/article/003246.htm. [Accessed 07 October 2015].
. Hair Disorders. [ONLINE] Available at: http://www.clevelandclinicmeded.com/medicalpubs/diseasemanagement/dermatology/hair-disorders/. [Accessed 07 October 2015].
. Androgenetic alopecia - Genetics Home Reference. [ONLINE] Available at: http://ghr.nlm.nih.gov/condition/androgenetic-alopecia. [Accessed 07 October 2015].
. Prevalence of male pattern hair loss in 18-49 year old men. - PubMed - NCBI . [ONLINE] Available at: http://www.ncbi.nlm.nih.gov/pubmed/9865198. [Accessed 07 October 2015].
. PubMed - NCBI . 2015. 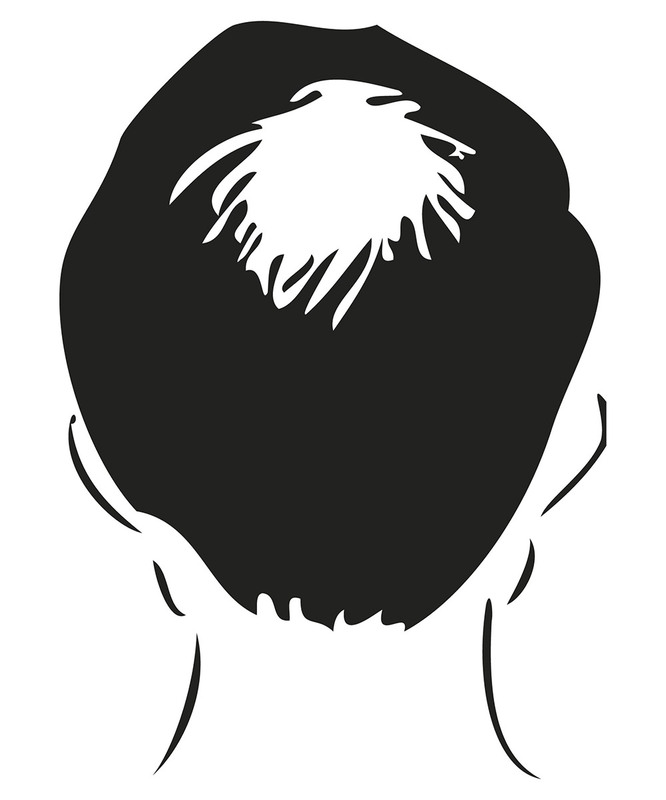 Prevalence of male pattern hair loss in 18-49 year old men. - PubMed - NCBI . [ONLINE] Available at: http://www.ncbi.nlm.nih.gov/pubmed/9865198. [Accessed 07 October 2015].
. Hair Disorders. 2015. Hair Disorders. [ONLINE] Available at: http://www.clevelandclinicmeded.com/medicalpubs/diseasemanagement/dermatology/hair-disorders/. [Accessed 07 October 2015].
. Alopecia Areata Causes, Treatments, Symptoms. [ONLINE] Available at: http://www.webmd.com/skin-problems-and-treatments/guide/alopecia-areata. [Accessed 07 October 2015].
. Management of alopecia areata . [ONLINE] Available at: http://www.ncbi.nlm.nih.gov/pmc/articles/PMC3230136/. [Accessed 07 October 2015].